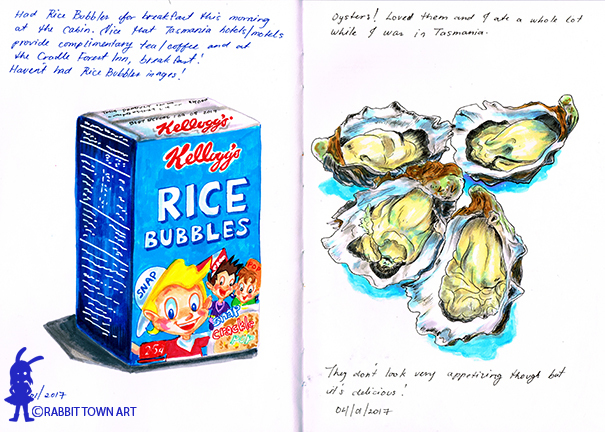 Some of my food drawings while in Tasmania! I haven't had cereal in years and it was offered in the cabin we were staying at. I also ate lots and lots and lots of oysters while I was there. Got a little seafooded out, admittedly. Not much to report today. It was all about work and scheduling social events and what I can and cannot make it to.